Detroit’s Movement Electronic Music Festival has revealed its 2015 lineup. As has been the case throughout the festival’s 10-year run, Movement celebrates techno, house, and hip-hop with a diverse lineup featuring genre trailblazers, cult favorites, and talented up-and-comers. In the case of 2015, the lineup includes heralded UK duo Disclosure, techno legend Richie Hawtin, Skrillex and Boys Noize’s collaborative project Dog Blood, and rap kingpin Snoop Dogg, who will perform as DJ Snoopadelic. Other notable acts include Danny Brown, Matthew Dear, Carl Craig, Loco Dice, Tuskegee (aka Seth Troxler b2b The Martinez Brothers), Ben Klock, Kevin Saunderson, Joris Voorn, Clark, Luciano, Dixon, Hot Since 82, Nina Kraviz, Soul Clap, Eats Everything, People Under the Stairs, Ben UFO, Maya Jane Coles, Fort Romeau, and Art Department. 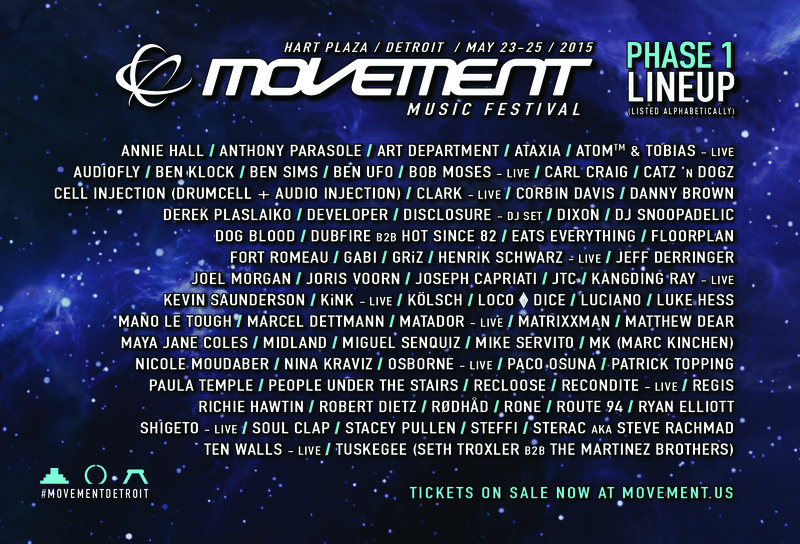 Movement 2015 takes place May 23rd – 25th at Hart Plaza in Detroit. General admission and VIP passes are now available through the festival’s website. Is Aphex Twin secretly leaking an entire vault of unreleased music?